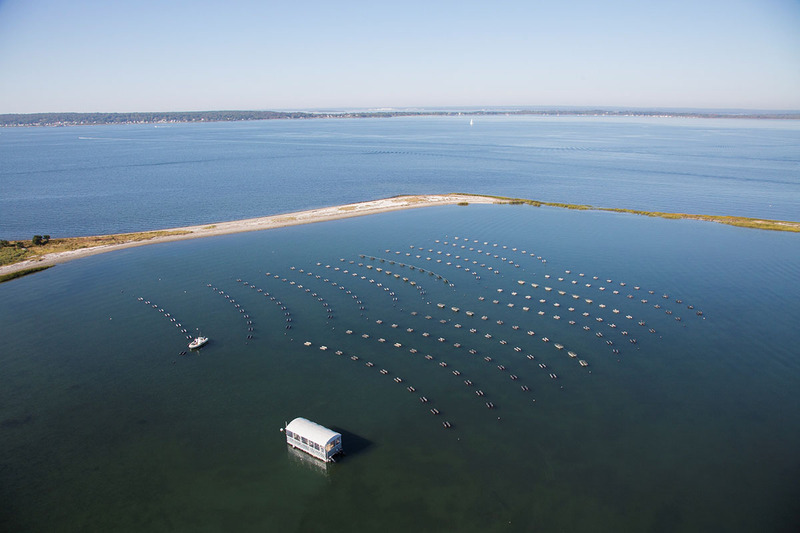 In an industry where warmer water breeds harmful algal blooms and bacteria, warming trends both in Narragansett Bay and in our coastal salt ponds equal additional challenges for Rhode Island’s small but growing aquaculture industry. 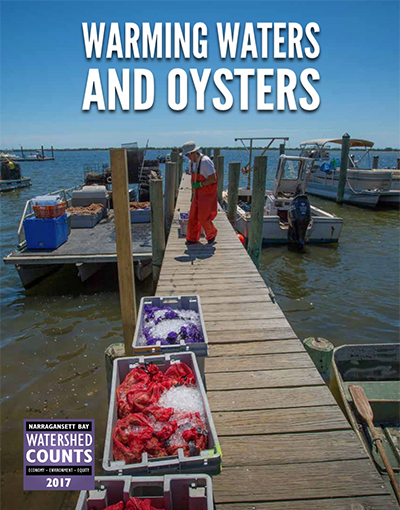 The Watershed Counts report highlights a number of these challenges, including shellfish disease, productivity and quality of product. Aquaculture has a long history in Rhode Island, and as the state’s manager of all aquaculture activities, the CRMC has had its collective finger on the pulse of the industry since the mid-1990s, when there was resurgence in interest and farms. From five farms in 1995 to 70 active farms today, a total of 274 acres are farmed in salt ponds and in Narragansett Bay. 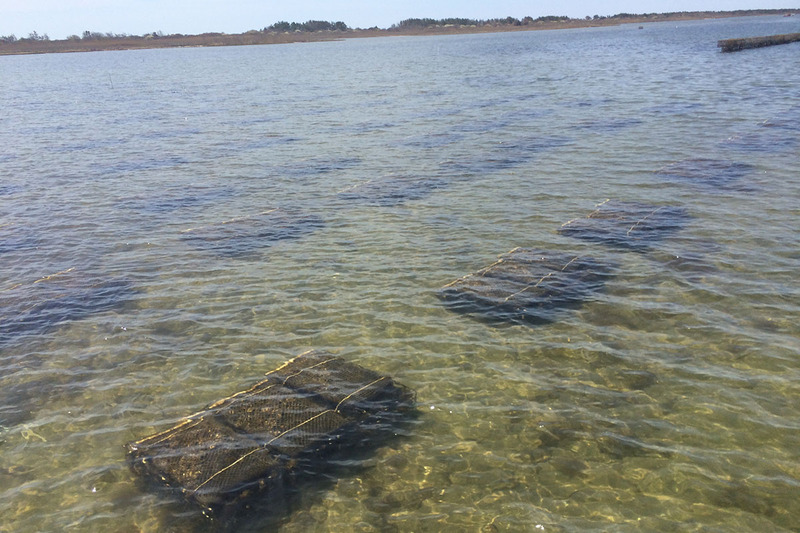 Oysters are the product of choice, but there has also been exponential growth of kelp farms, and some of the farms also dabble in quahogs and mussels. Despite an algal bloom during the late summer that impacted the amount of product ready to be sold at-market as well as its value, the industry still saw growth in 2016, according to the annual CRMC aquaculture report. The rust tide bloom or Cochlodinium polykrikoides that occurred during that time is not toxic to humans, but is harmful to shellfish. 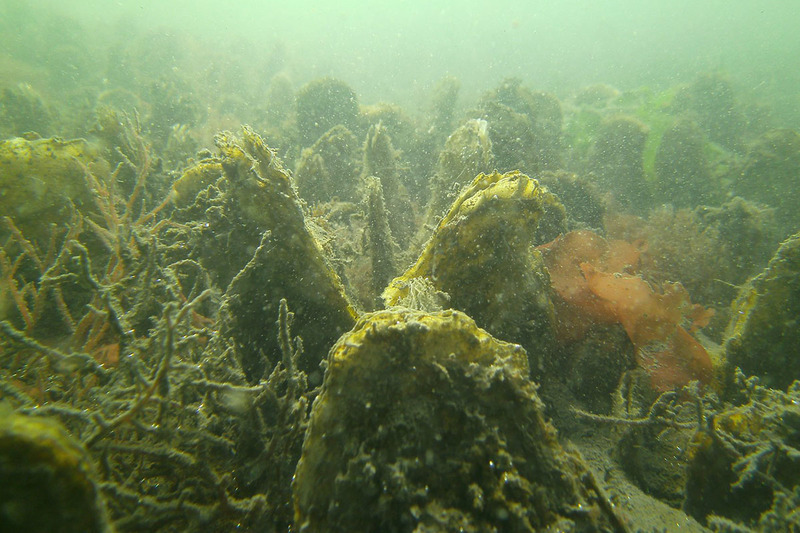 Because oysters – which are usually eating larger volumes of food to plump up for winter – do not like the rust tide, they didn’t eat as much and fewer were large enough to bring to market. This resulted in a smaller overall harvest and increased shellfish mortality. As part of the R.I. Shellfish Management Plan, the CRMC, R.I. Department of Health, and project lead R.I. Department of Environmental Management (DEM) are working together to implement a system for monitoring shellfish disease and public health. The CRMC also enforces a five percent total lease limit for each of the state’s coastal ponds to ensure proper management. The CRMC’s Biosecurity Board closely monitors any product brought into the state and makes sure rules are kept up-to-date: any shellfish with disease capable of affecting humans is prohibited from entering the state; and a certified report stating disease-free status must be supplied to the CRMC prior to any seed coming into the state.